If I start believing that I’m living under an evil star, I think I will have a drink; indeed it would mean I’ve taken bad things that happen to me a bit too far, maybe as is done when we think of those lovers in Romeo & Juliet as “star-crossed.” Maybe not such an unbelievable literary reference what with the rhyming “sonnet” like couplets taking up all the end of line terminal rhymes. When Romeo and Juliet first meet, their first words to each other form a sonnet. Yes, unbelievable, strange but true, inconceivable even . . . love and fate, that is. Dylan’s official video of “Unbelievable,” with a much different kind of romance and Juliet, and fate, maybe even with a name . . . Jack? 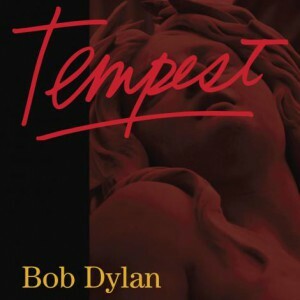 Tempest‘s “Soon After Midnight,” is the only Dylan song with “midnight” in its title. It took him fifty years to get it in one. 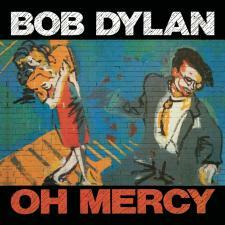 It also is part of the chorus of the song, “It’s soon after midnight,” “It’s” added to force an internal rhyme. My favorite line in the song is “And I’ve got a date with a fairy queen.” Now this could just be plans to read Spenser’s epic (though it’s not capitalized), but as far as real fairy queens go, Titania fits the bill. In this song, she works, too, with an “i” sound that matches “midnight”‘s, the way an internal rhyme might. But she’s not there or her name isn’t, so her name is a rhyme not there, but there if “fairy queen” lets her enter your mind. The whole song for me is a bit dreamy, the ways things are in A Midsummer night’s Dream, where nothing is at it seems, especially Bottom’s Dream. Here’s panama hat adorning Bob on piano and singing it live in Chicago, 2014. The rhyming in verses 1, 2, and 4, comprising three fourths of the song, have a strict pattern of a/b/c/b/d/b/a/b. The b sounds in verse one are triggered by “you,” in 2, by “me,” and in 4 by “away,” the slipping away of the star, like how rhymes slip in and of a song that has rhymes. 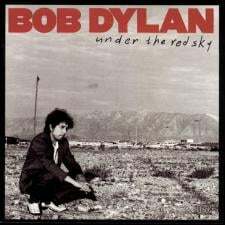 The third verse is remarkable for what it shoots into the song, namely the last fire truck from hell (what a peculiar image that is), and things heard for the last time, the sermon on the mount, the last radio. The rhyme pattern in it is a/a/b/c/d/d/c; it’s a pattern that breaks a pattern, both with the rhymes and the number of lines, 8 for the others, 7 for this one. It is a verse that within the song comes from nowhere, and then passes right by. It has a shooting star effect within a song about a shooting star, or all that jolts us into some recognition, memory, self-reflection. The June 6, 1991, performance in Rome is below. It’s a lovely one. 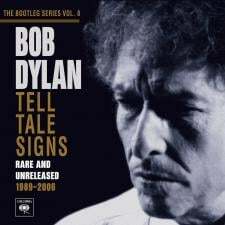 This haunting and painful song, left off of Time Out Of Mind, but released for Tell Tale Signs in 2008, has a tight rhyming structure, a/b/c/b from beginning to end, typical ballad stanzas chosen for a ballad of lost love. 16 stanzas keep to this rhyme scheme, eight of which, in an alternating pattern have end rhymes with “shore.” The sound of those rhymes with “shore” dominate the song, consistent as the water that laps on a river shore. In the first, the singer is inside his own cabin, with women outside it wanting him. In the second, he has to “pull back from the door,” a door shut to him, wishing for (wanting?) the girl he could never have, or at least never again. The 8 lines do tell a story of its own. In both of these, uncertainty is present, not knowing where the dream went, not knowing if a certain language is used anymore, one that convinces a lover to leave for another lover, the language of love, wooing, courting, the kind associated with poems? In 6, dreams vanish, in 16 so can a person–not being seen at all, but somehow this Red River girl was true to him, maybe only up to that point of their story (from stanza 6 on, we only look back at the past), but maybe true in some other way that 16 ends the song suggesting, that to be seen by a loved one even when no one else can or cares to, is to be remembered, never perhaps forgotten. But some other truth pervades, one tied to how he defies the last words she says to him, “Go home and live a quiet life.” This balladeer is restless, roaming some countryside, the minstrel, forever caught in love’s thrall, far from quiet, far from home, on a never ending tour.